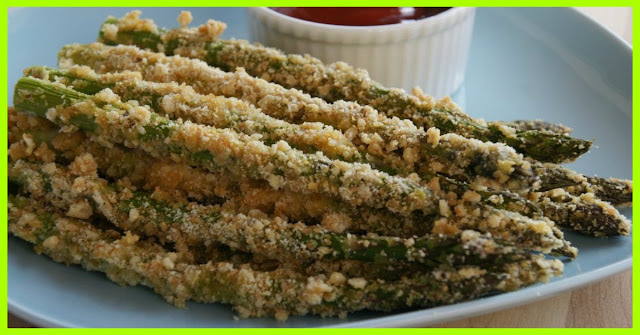 Dip the asparagus in the flour then shake off the excess. Dip it next to the egg then the breadcrumbs. Shake off the excess. Place them on a baking tray lined with baking paper then bake them for 10 minutes. Take them out of the oven then sprinkle the Parmesan cheese on top. Bake for another 10 minutes or until they are golden brown.